Landscape painting has a long tradition in East Asian art. 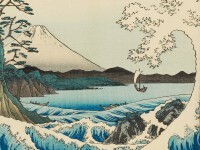 However, landscape did not become an important feature of Japanese woodblock prints until the early 1800s. By this time, Japanese citizens were taking part in more outdoor sightseeing activities, such as festivals, temple visits and boat trips, and there was a growing demand for souvenir images. In the competitive world of the publishing industry, publishers were constantly trying to develop new products, and landscape prints were a novelty. Technical factors also played an important part in the emergence of the landscape print. 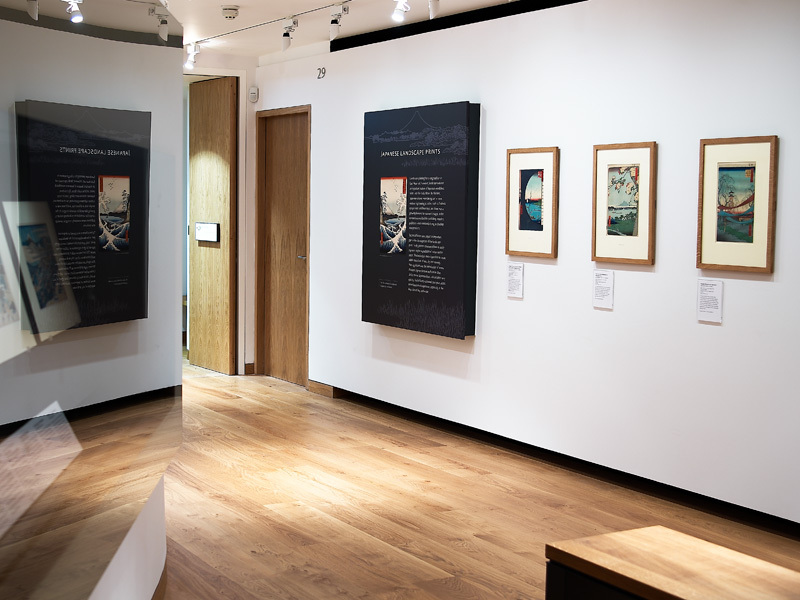 Firstly, printers discovered how to apply pigment to give a gradation of colour on the paper. 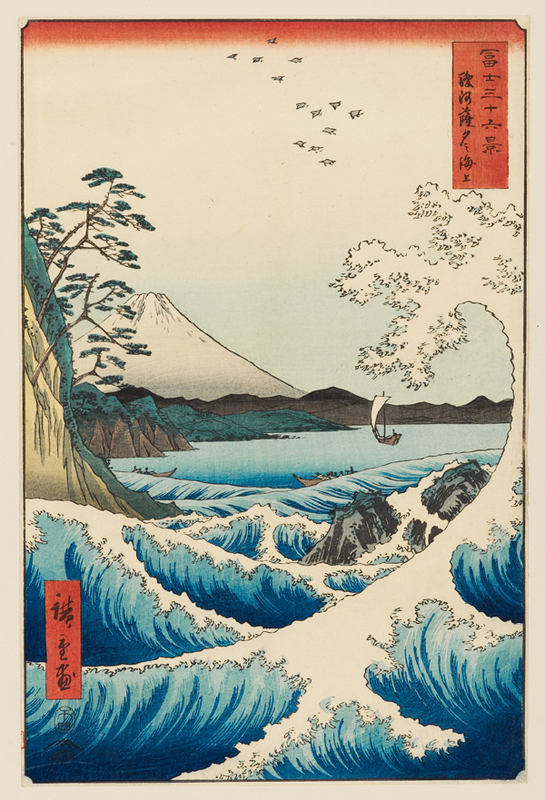 This technique made it possible to create subtle depictions of sea, sky and scenery. Also significant was the introduction of a new Western pigment known as Prussian Blue. Unlike earlier Japanese blues, which faded very quickly, this brilliant colour gave artists more freedom of expression, especially in the depiction of sky and water. The Sea at Satton, Suroga Province, Japan, 1859 (Museum No: EAX.4387). 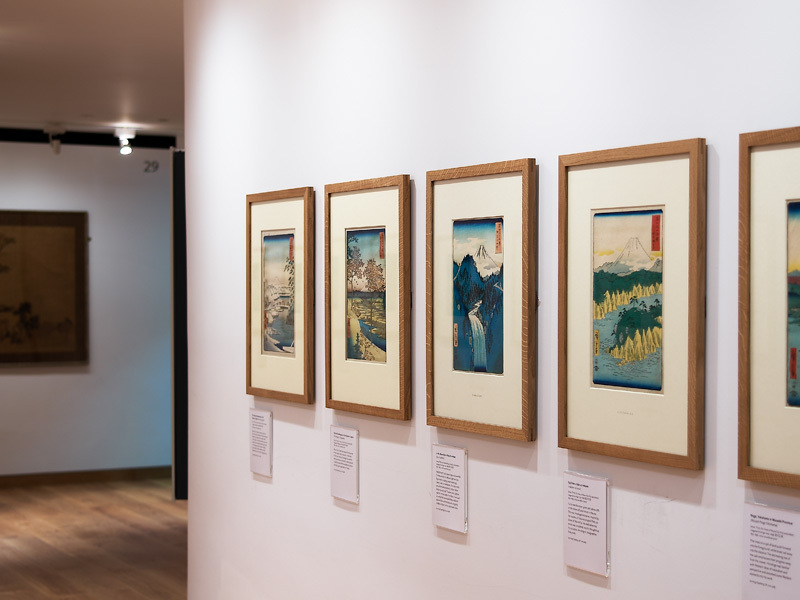 Eastern Art Paintings Gallery - Japanese Landscape Prints exhibition east wall. 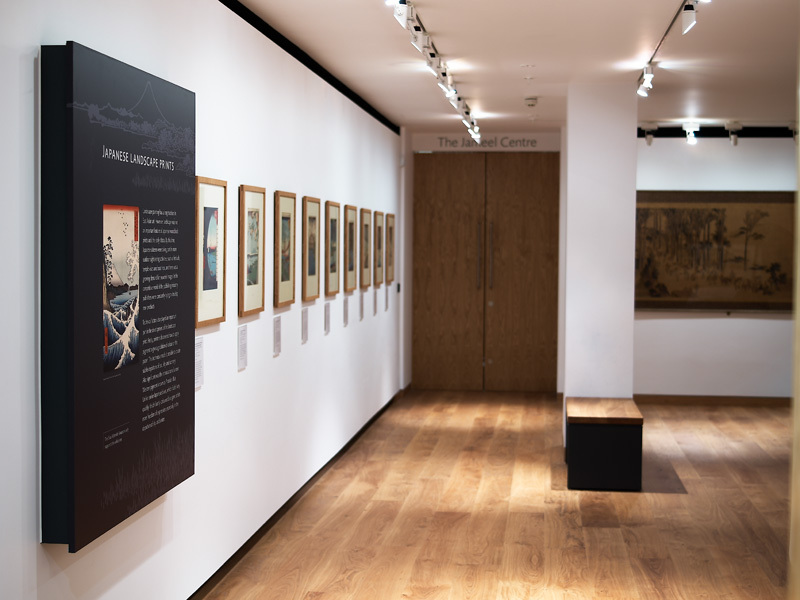 Eastern Art Paintings Gallery - Japanese Landscape Prints exhibition. Eastern Art Paintings Gallery - Japanese Landscape Prints exhibition west wall.